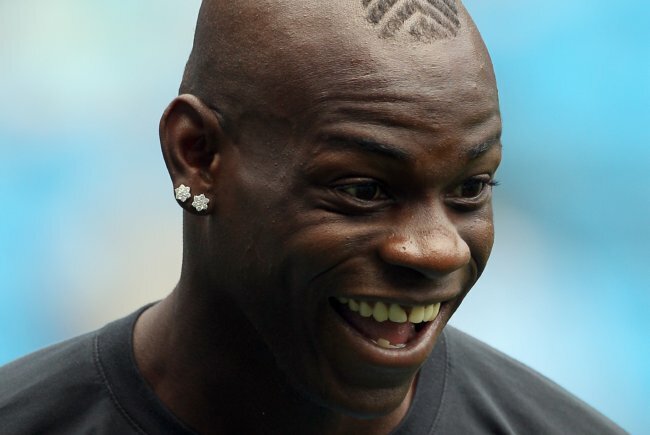 That’s right – another week, another ‘Mario Balotelli nearly kills himself/someone else’ story. Apparently Balotelli and four of his dumbest friends were forced to bid a hasty escape from his house in the wee small hours of Saturday morning after a perfectly harmless game of ‘let’s light fireworks in the bathroom’ went catastrophically awry. According to the Guardian, a ‘substantial fire’ was started when Balotelli’s towels caught alight shortly before 1:00am yesterday as the five men were shooting fireworks from the bathroom window of the house in Mottram St Andrew, Cheshire – fair enough, it’s not like City have got a big game coming up or anything. The fire service arrived and put the fire out within half-an-hour of their arrival but not before the first-floor property sustained ‘serious fire and smoke damage’. You can’t help but feel that this year’s Man City Christmas party is going to be immense/the downfall of society as we know it. But he still managed to get a “decent” game vs the scum! I swear, my mother’s got those exact same earrings. A shame he didn’t get hit by the fireworks. I think Balotelli’s antics are just wonderful. Can’t wait for his newyear’s party! 19, gentlemen, 19. that said, great player, but has to be considered a little dumb for not being able to put out a fire in the one room that has at least three sources of water. He’s back. These are the headlines I love. Mario is a Gazza, Maradonna, Georgie Best in the making. “Why Always Me” – Epic. His PR department is something else. damn it, i’m starting to despise him less and less. @wolfinho: nice one about the water. i think there’s less things to light on fire in there than that.